Although a successful painter and craftsman in his day, Svend Hammershøi is best remembered for the stunning vessels from which this range takes its inspiration. 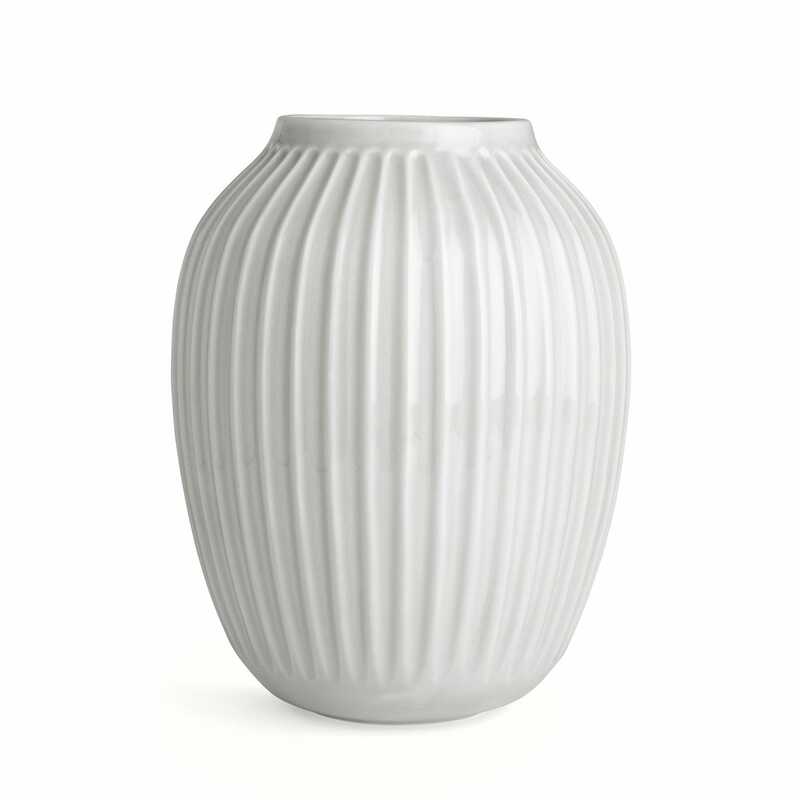 Designed in 1904 for Danish ceramicists Kähler, a brand whose heritage stretches back over 175 years, the decorative furrows of the original vases have been reinterpreted to produce this tall vase with glossy white glaze. 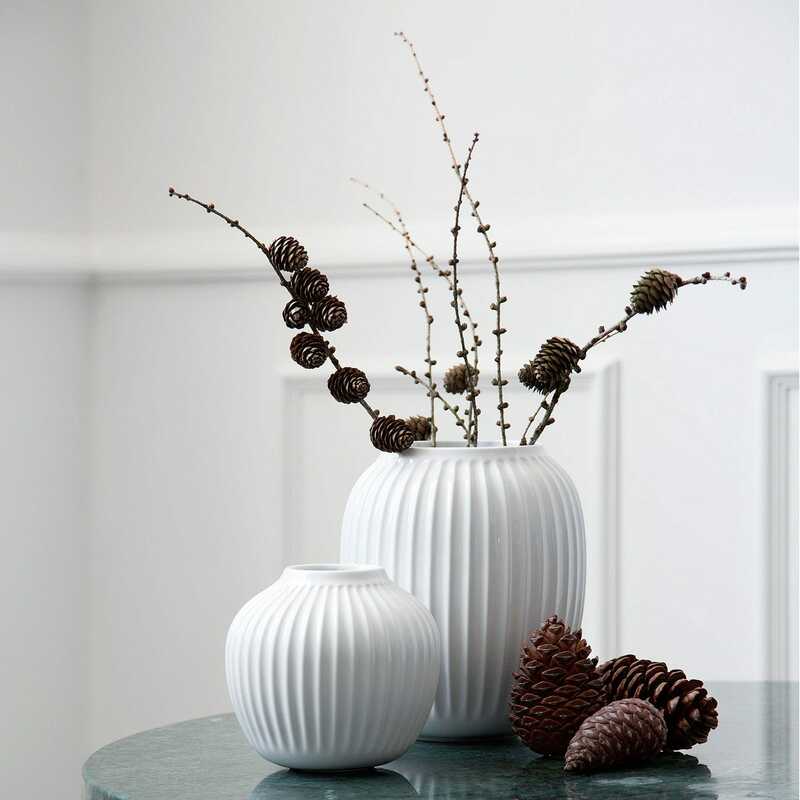 The decorative furrows of the original vases have been reinterpreted to produce the ridged vase range. Hans-Christian Bauer is a Norwegian-born industrial designer. Having graduated from the design department of The Royal Danish Academy of Fine Arts, School of Architecture, in 2010 he has since worked with his own projects in product and furniture design.